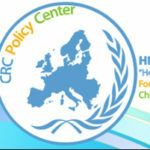 Efi Vasilaki is working at “Hope for Children” CRC Policy Center's Humanitarian Division in Nicosia, as Coordinator of the Foster Care Department. She holds a Bachelor’s Degree in Social Work from the Technological Educational Institute of Crete (TEI of Crete) and a Master’s Degree in Public Health & Health Care Management (MPH/ HCM) with specialization in Epidemiology, from the Faculty of Medicine, School of Health Sciences, at the University of Crete. Also, she has received a “Certificate of Clinical Training in Group Processes” from the Department of Psychology of Athens University in collaboration with the Hellenic Society for Psychoanalytic Psychotherapy Group. 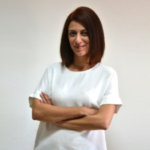 Ms. Vasilaki is a social work professional with over 4 years’ experience in different capacities, such as child and adolescent’s mental health provision services, sexual violence and immigration. Also, she has a lot of experience in European funded projects, as she was involved in coordination, administration and monitoring of budgets, resources and people.